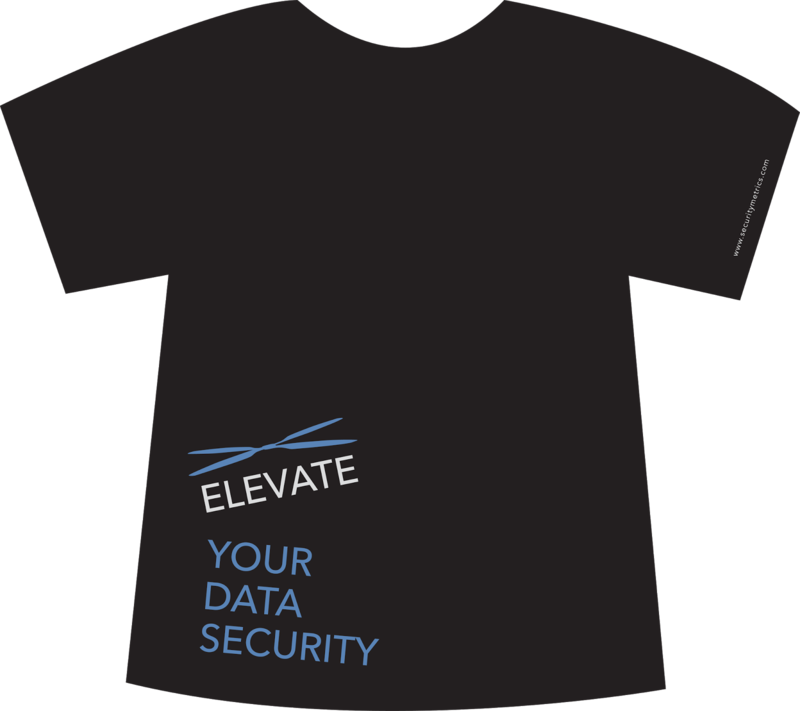 Elevate Your Data Security at TRANSACT15! Win a mini-quadcopter, get a sweet t-shirt, and get questions answered by our security experts! 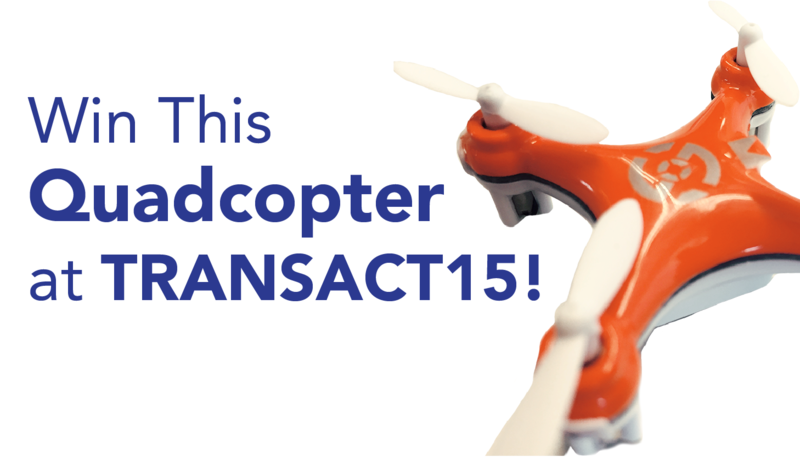 Who’s excited for TRANSACT this year? SecurityMetrics is! You’re probably all wondering what crazy game to expect from us this year. Well, at the last few TRANSACT conferences we received a lot of requests to bring 2012’s helicopter game back. But, same is lame. We decided instead to go bigger and better. That’s right, this year we’re offering a chance to win the smallest quadcopter in the world! No worries about getting this little guy home in your suitcase. Seriously, these things are teeny. First, head on over to booth 1317 at TRANSACT15. Then, prepare your digits with some finger exercises. You’ll be handling a miniature remote control paddle. Any gamers out there? You can probably fly these things with your eyes closed. Each participant must fly a mini-quadcopter from its starting pedestal into a 12” bowl a few feet away. The trick is, you’ve got to land the little drone in the allotted time. Sounds easy, right? Well, these things are squirrelier than they look. If you manage to land your quadcopter into the bowl, you are its proud new owner! Try as many times as you’d like, and come back every day. We estimate one out of every five attendees who try, will win! Oh, and since you’re already planning on dropping by our booth for the game, why don’t you pick up one of our limited edition TRANSACT T-shirts as well? 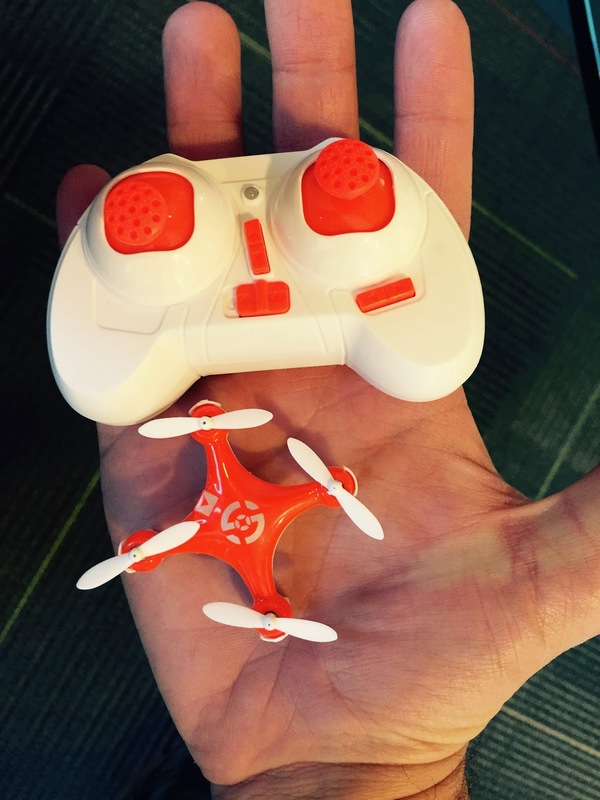 Just like our mini-quadcopters aren’t bound by heights, neither is your data security. You have the power to elevate your security to whatever heights you want. You’re in control, and we want to help you reach your security goals. Come to booth 1317 to discuss how you can elevate your portfolio’s PCI program to reduce merchant frustration. Or come talk to us about how to elevate your own organization’s security through penetration testing, PCI audits, or security training. Or, if you simply have questions about EMV, encryption, hacking, or the future of the industry, our experts are ready to answer your questions. Every year, we sponsor the TRANSACT golf tournament. Last year, attendees had a beautiful day on the Revere Concord Golf Course in Las Vegas. This year, it’s on March 31 at the Presidio Golf Course. Isn’t this place beautiful? Check out that view! We can’t wait to meet you at booth 1317!